When you are moving from America, you should contact your current provider of health insurance. If you are now seeking out healthcare before your move to the United Kingdom, it is probable that you are already insured in your current place of residence. By consulting with the provider you can outline your situation and explain how you will be needing healthcare when you arrive in the city of London. The provider may be able to advise you of a similar plan that can be made use of in a different country. Alternatively, you can discover if the health insurance provider is able to transfer your plan so that you receive the same care after moving from America to London. If you cannot switch your current active healthcare plan to a plan in the UK, then do not fret because it is possible to get other forms of healthcare when moving from America to London. 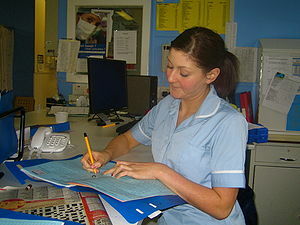 The United Kingdom helps its residents by supplying healthcare. The public service is in charge of this and most costs will be covered. If you have a visa stating you will be a resident of the United Kingdom, it is likely you will be able to take advantage of this. Should you prefer private healthcare, then you will need to pay a fee. This will enhance the level of service you receive. Despite this, free healthcare will save you money when moving from America to London. What Is Included In Healthcare Cover In The UK? If you have opted to get free healthcare coverage from the public service when moving from America, you should be aware of the things that are covered. This way, you will not be surprised with an excessive medical bill if you encounter an unfortunate incident that is not covered by the healthcare plan. Mainly, issues that will be funded will be dental care, eye tests, prescriptions and other minor complications. Speak with a professional in this industry before moving from America to determine if this is the correct route to go down.